President Donald Trump praised his Egyptian counterpart Abdel Fattah el-Sisi as a “great president” on Tuesday despite U.S. lawmakers’ concerns about his record on human rights, efforts to keep him in office until 2034 and planned Russian arms purchases. Egypt’s parliament has proposed constitutional reforms aimed at allowing el-Sisi to remain in power until 2034, a move criticized by senior U.S. lawmakers and advocacy groups who are also disturbed by Egypt’s repression of human rights. El-Sisi is a former general who came to power after the military overthrew Islamist President Mohammed Mursi in 2013 following mass protests against his rule. El-Sisi was elected president the following year. The letter to U.S. Secretary of State Mike Pompeo was signed by the influential Senate Foreign Relations Committee’s Republican chairman Jim Risch, the panel’s senior Democrat Sen. Bob Menendez as well as 15 other senators. 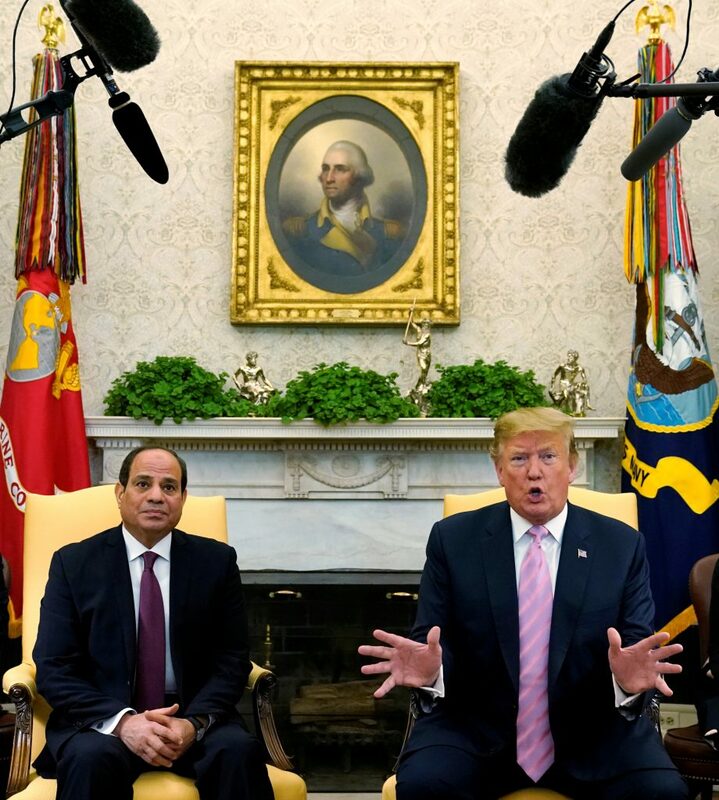 “We’ve never had a better relationship, Egypt and the United States, than we do right now,” President Trump added as the two men spoke to reporters before meeting in the White House Oval Office.